....guess what? I am totally still alive! A very merry happy belated Christmas to all of you and I hope you all had a great start into the new year! I didn't plan on being absent for so long - actually, I totally planned on doing posts about my trip to NYC (still coming, if anyone's up for that still), the shopping I did and many other posts but man, my life just kinda fell apart and it took me all of December and still up to this day to pull myself together, sooooo yeah. Don't wanna sound too dramatic here but it was just a lot of stress, way too many emotions and the festive season didn't really help at all. Even though I very likely won't be able to post as often as I used to due to work and my everchanging crazy schedule (getting up at 3AM for work but need to come in for work the next day at 3PM and stay until midnight...? Sure, my internal clock is already dead, so what.) 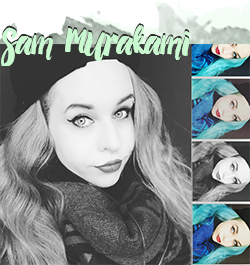 I really want to get back into blogging because I miss it & you guys so much! 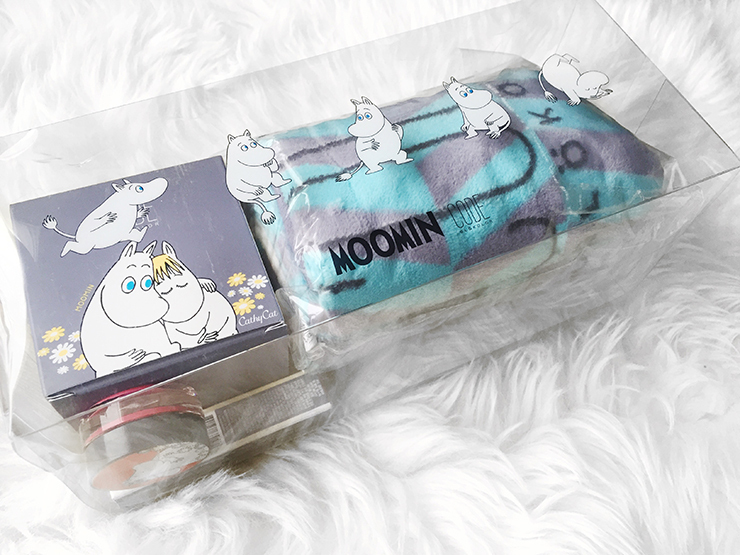 To my surprise, the collection came wrapped like this - I instantly got excited about the blanket because who doesn't want to cover themselves with fuzzy warm moomins?! I had no idea this kind of box existed as I've never seen it online anywhere but my oh my, the blanket is THE BOMB. So fluffy and warm, I will forever treasure it huehuehue. Everything she got me in one convenient picture: All-UID Foundation Ex in Medium 20.5 + refill, Gel-Set Lipstick in Medium Coral and a Tinted Lipbalm in Rose Pink that smells like a garden full of raspberries. Comes with the most beautiful purple case I've ever seen as well as the standard refill. I love how much attention to detail they put even into the puff and sealing stickers! Obsessing over the cutest puff that ever....lived...? 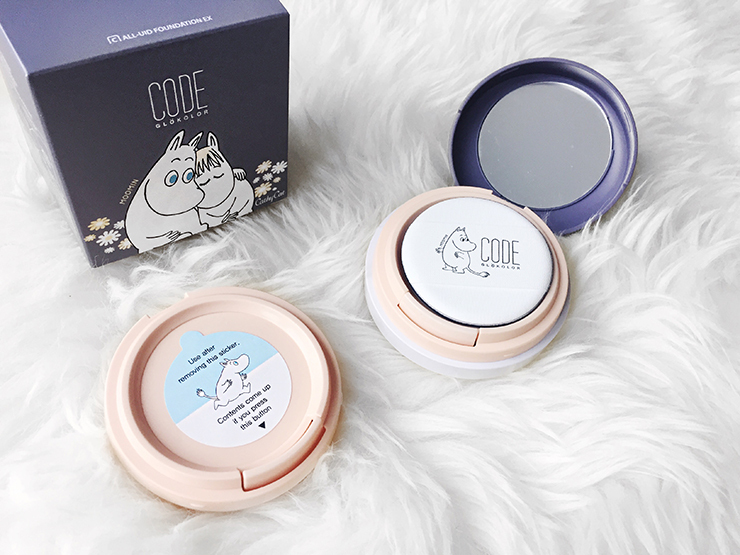 The design of the compact is pretty unique and quite different from all the cushion foundations that are usually inside the round packaging - in this case, this is a liquid foundation that is also applied with the standard (cushion) puff. 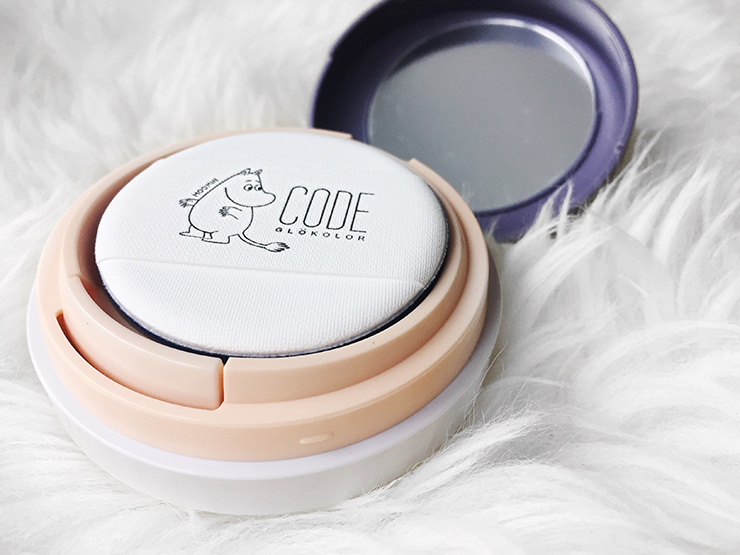 In order for the foundation to come out, you have to push down the front button - took me about 10 or 15 clicks the first time to get any product out. 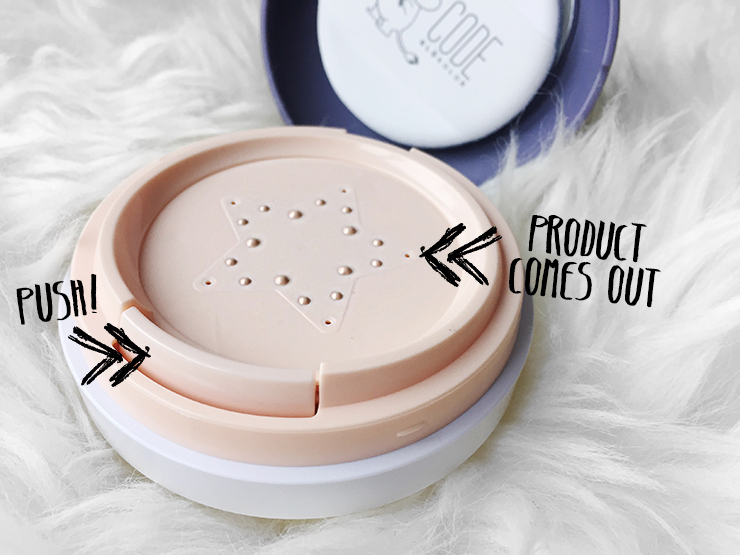 The foundation oozes out slowly, so it is quite easy to get the right amount of product. While this system certainly does look cute, especially with the little star shape, I find it a bit of a hassle, especially since I am always on the run in the morning, so I would have preferred a cushion instead. That's just my lazy personality talking, though. ....can I get a big YAY for the fact that my skin is a lot better than a few months ago..? 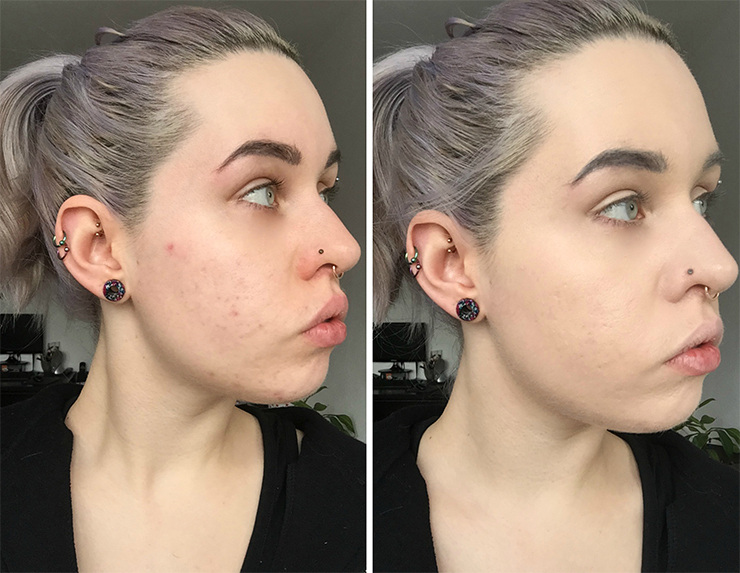 I am totally planning a post on my progress + acne fading as I get many e-mails about the topic that a lot seem to struggle with. Anyways, I was surprised to see how well this matches my skin! 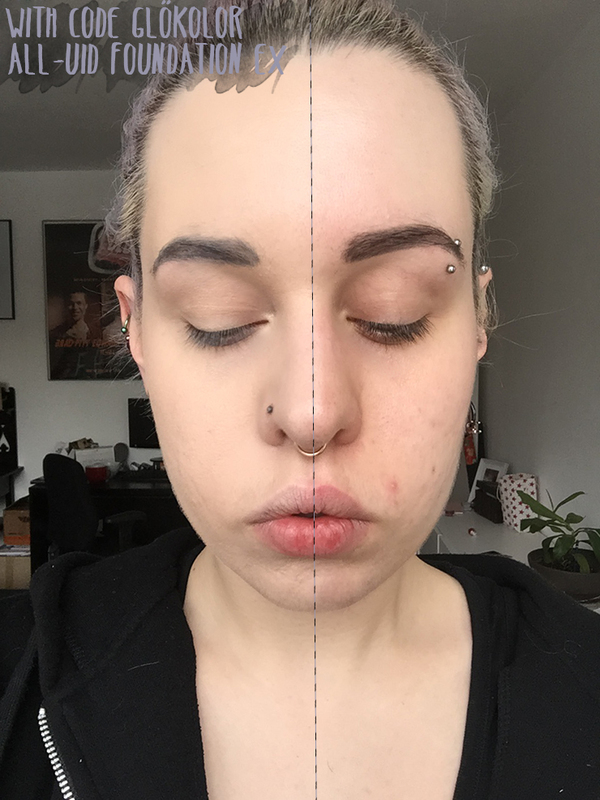 It's not perfect but it'll totally do - so surprised this is labelled as medium since I am NC10-15, hence very far away from being any medium skin shade. 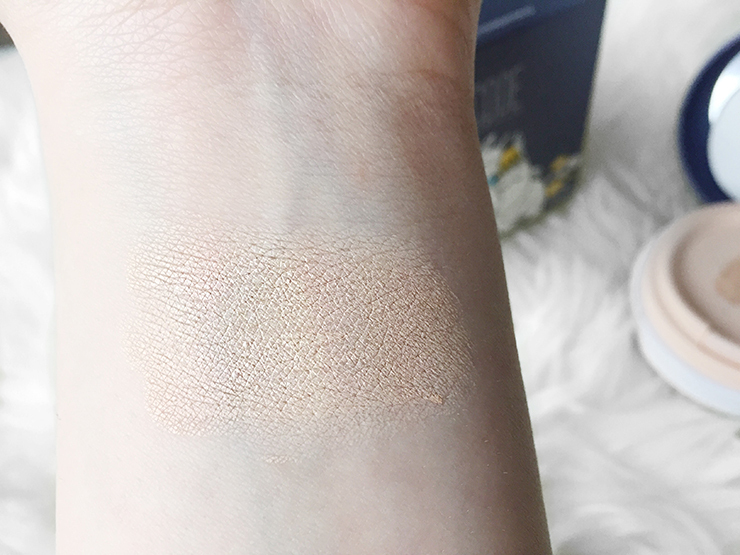 I really really like this foundation - it feels very light and barely there and it makes my skin look like skin, just better, and not cakey at all. 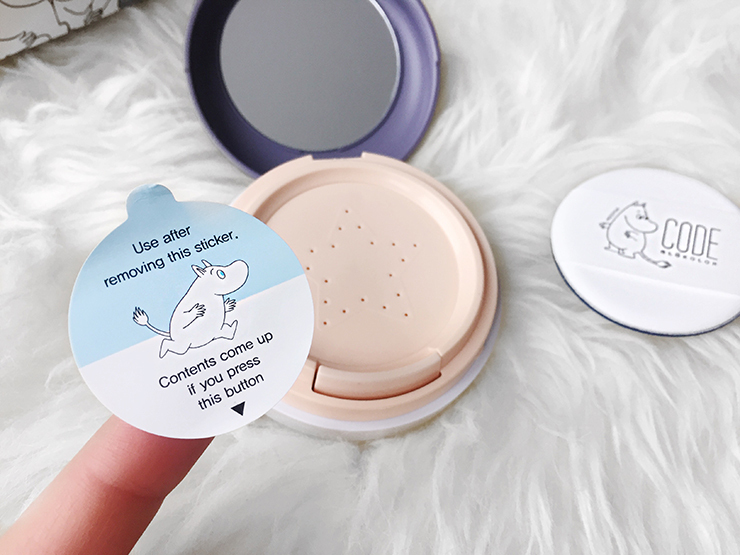 Absolutely did not expect that as my main incentive to buy was, let's be honest, the gorgeous Moomin design. 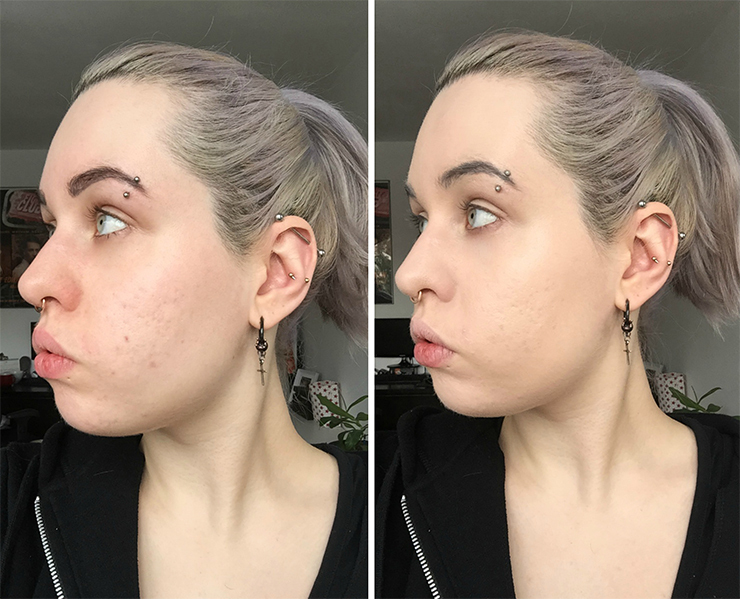 As you can see in the last picture, the coverage is pretty good as it even perfectly concealed the red pimple that was growing on my cheek. I definitely have to touch up in between work once to keep up the coverage but overall, this is a pretty darn good foundation in my books. 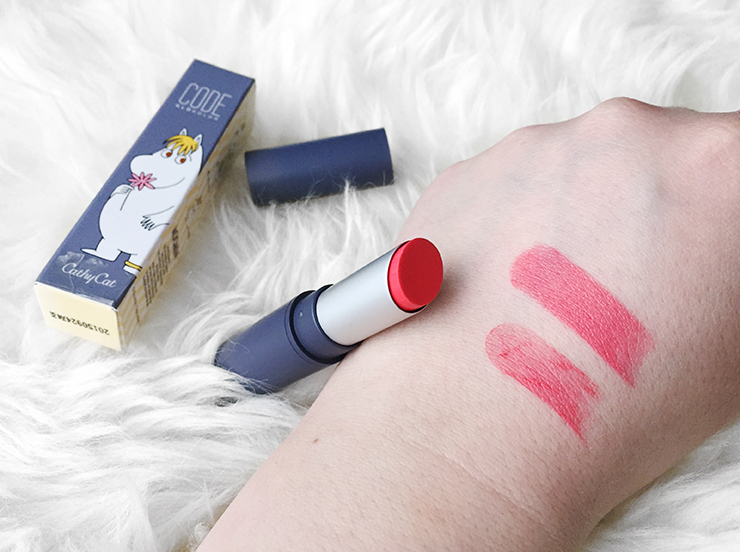 ..yay for tinted lipbalms! The air con/heater at work is drying me out so badly that I eagerly grab for anything that can relief my skin, eyes or lips that are screaming for hydration! 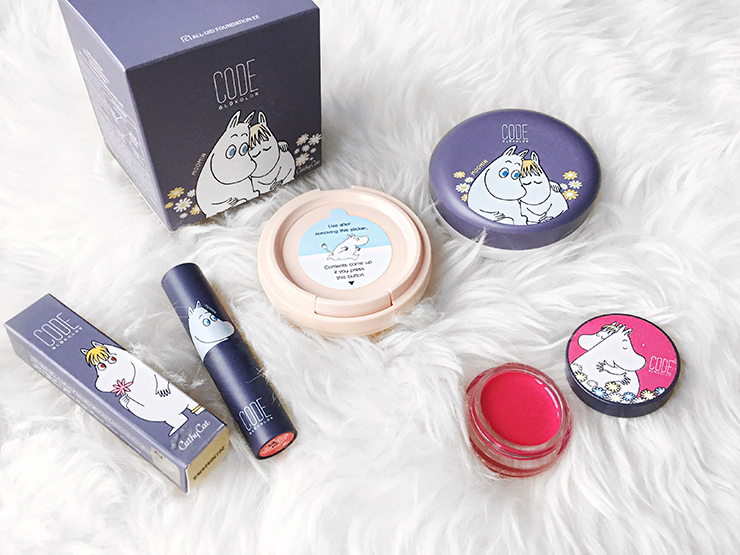 Plus, a world where one owns too much lipbalm really doesn't exist. Although it looks like glass, the jar is actually made out of plastic which makes this very lightweight and super easy to travel with. At first I was a bit scared to use this because the pink looks SO NEON inside the tube. 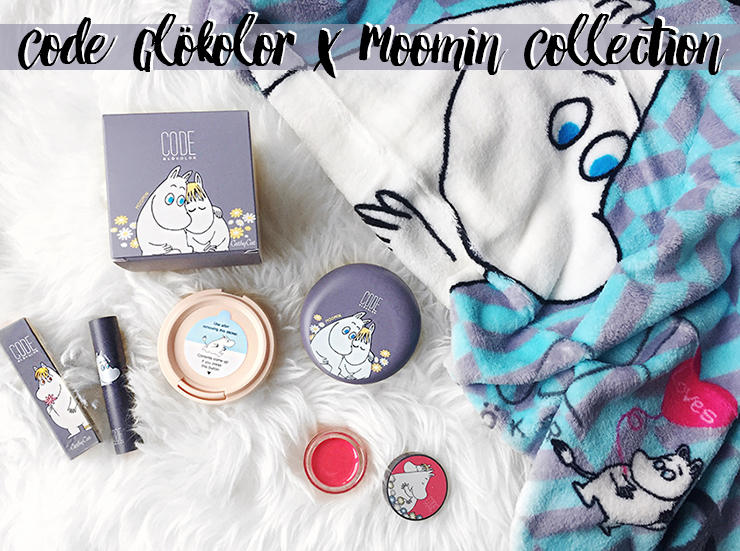 Plus, having actually lived in Korea I know that neon lip colors sometimes are a total thing there (and somehow, look really gorgeous on the girls there even though I always look like an 80's-inspired barbie trying any of those colors on myself....) HOWEVER. 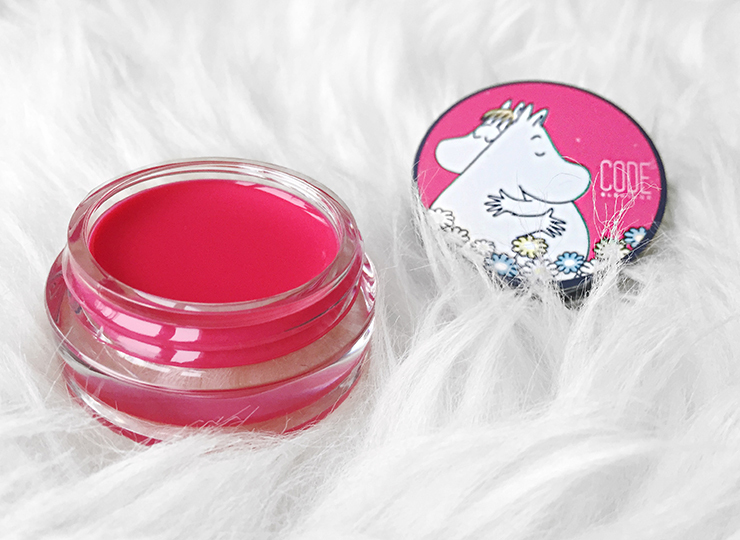 Since this is *just* a lipbalm, the color payoff isn't as pigmented and turns out as a sheer rosy pink. Just like it says on the jar. Bottom is just one swipe, while the top swatch are two swipes on top of each other. 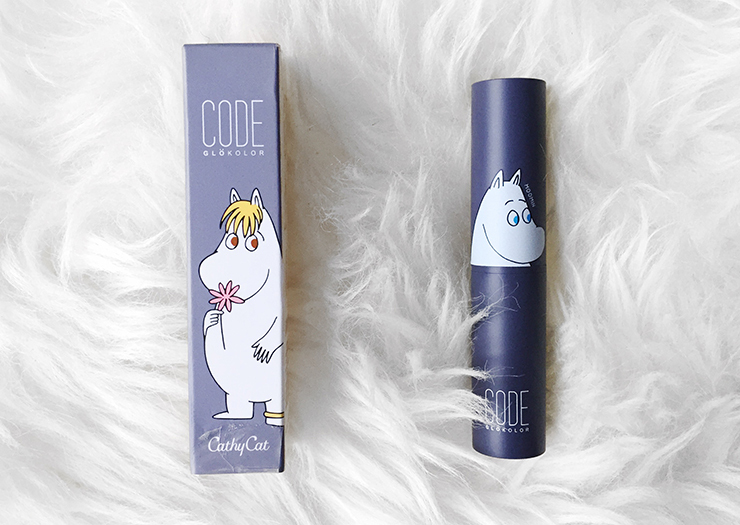 Even though I'm very picky when it comes to lipbalm, I really like this one! I like the scent of raspberries, which, surprisingly enough, doesn't ring too artificial or chemical to me and the rosy hue makes me look fresh and awake. That one instantly got a spot into my working pouch that I'm carrying everywhere I go! 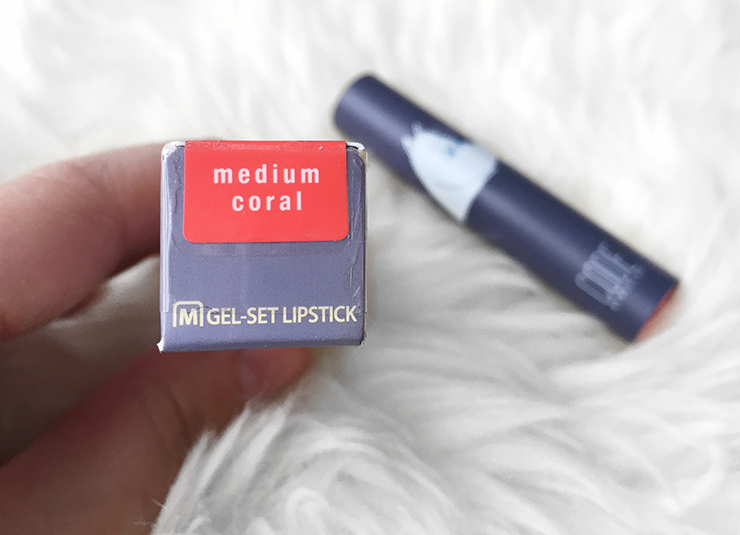 Knowing the brand's lipstick performance, I was really pleased with the color payoff of this gel version! 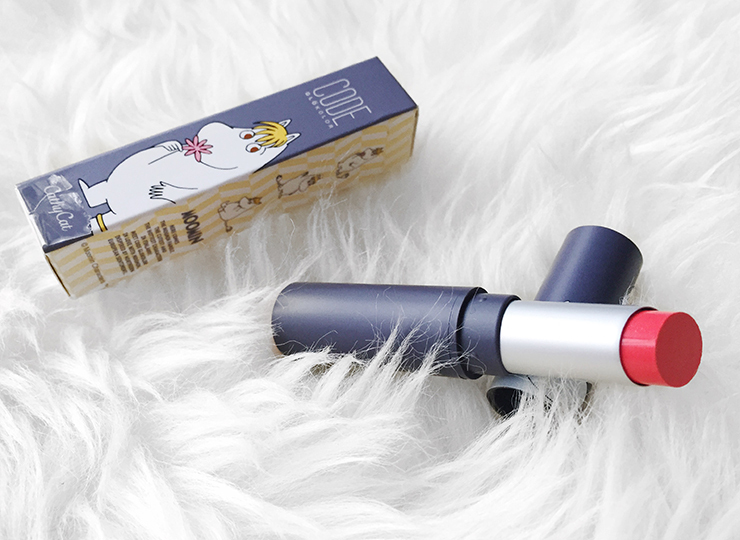 It glides on super smooth and the color is super pretty in real life. Nothing too shocking but a really nice coral that would be perfect for a bit more color at work without getting too risky. 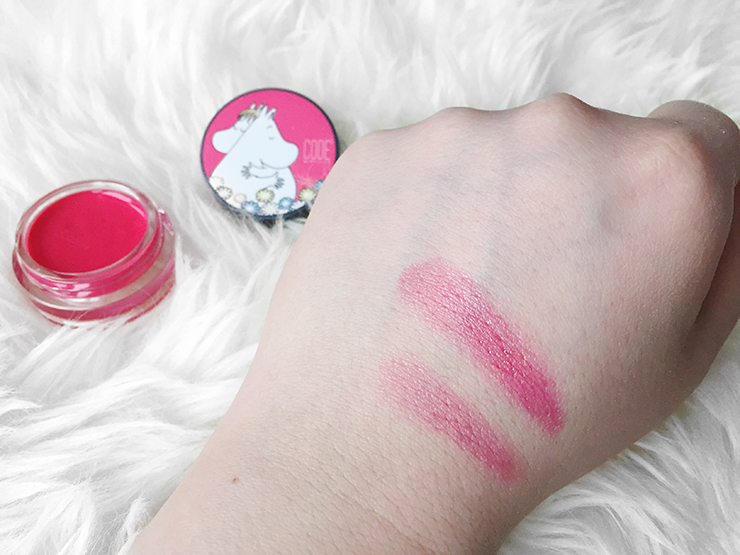 Bottom swatch is only one swipe, top swatch are two swipes. I swear I wanted to include a FOTD but since I'm working midnight shifts and the sun is basically gone at 3PM everyday...... let's just leave it here so this post will see the light of day eventually. 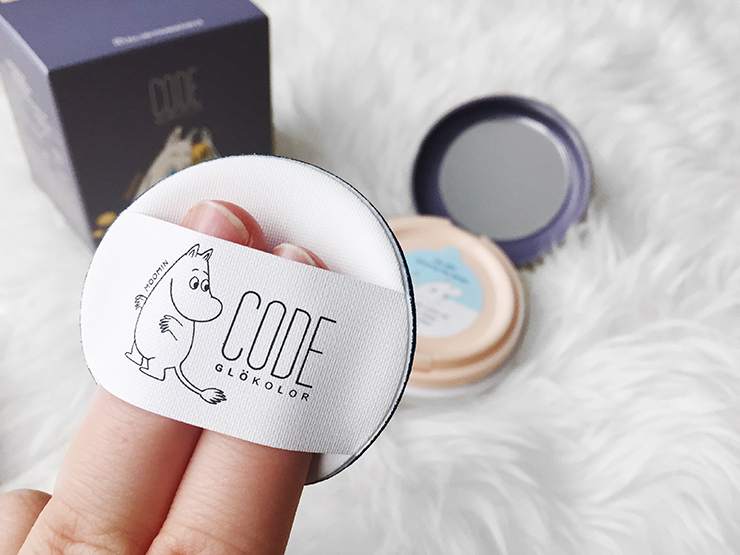 Have you tried any of Code Glökolor's products, be it the Moomin collection or anything else..? I have to say the brand really grows on me and I have enjoyed all of their products so far. If they continue to produce such gorgeous editions I'll definitely be back for more! Thank you all for reading and for your support despite my absence :) Have a good one!